More than 50 percent of local transportation dollars are spent to move just 3.5 percent of commuters. This huge disparity is part of the reason why the vast majority of us sit in traffic each day. Nearly 14 years after voters approved a one-half cent local sales tax measure to collect $14 billion to fund regional transportation projects, commuters are still waiting — in traffic. 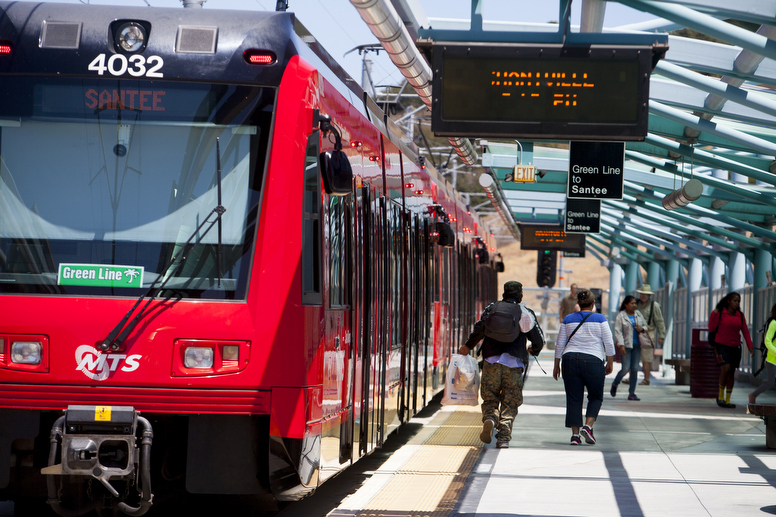 In San Diego County, public transit, such as buses and trolleys, receives over 50 percent of all local transportation funding, while highways receive just 13 percent. What makes this disparity even more astounding is the fact that only 3.5 percent of commuters ride public transit. Yes, you read that correctly: More than 50 percent of local transportation dollars are spent to move just 3.5 percent of commuters. This huge disparity is part of the reason why the vast majority of us sit in traffic each day. The 2004 tax increase that promised to jump-start transportation projects and relieve traffic congestion was front-loaded with transit projects while highway projects took a backseat. The much-hyped Mid-Coast trolley line, running from downtown San Diego to the UTC area, currently under construction, is one of those front-loaded projects. The Mid-Coast project is paid for by a combination of local and federal tax dollars and will end up costing $2.17 billion. Although trolley lines rarely achieve their estimated ridership, even if the predicted 17,000 daily round trips are reached, it would still be cheaper to issue a $125,000 check to each rider today and continue paying them nearly $1,000 a year for the next 30 years, than to build and operate the Mid-Coast trolley line. Even transit projects that were not included in the original voter-approved list were prioritized over highway projects. In 2015, SANDAG approved spending $21 million to improve the appearance of 11 downtown bus stops. The Metropolitan Transit System promised this investment would result in more passengers; it did not. As recently as 2016, SANDAG voted to spend $75 million to build a temporary parking lot for empty buses in downtown San Diego. Neither of these transit projects was included in the original list of projects promised to voters in 2004, yet funding for both projects came from the only local source of highway funds available. Most of the local transportation dollars are spent to build public transit infrastructure and to subsidize the fare of every transit rider. On average, each transit fare purchased covers only 25 percent of the cost to build and operate the transit system. In 2017 for example, MTS total passenger revenues were $93 million while total operating expenditures were $408 million. Taxpayers are left to pick up the rest of the tab through taxpayer subsidies. During the fiscal years from 2014 through 2017, taxpayers paid over $1 billion to subsidize local transit fares. The bigger the transit system grows through new rail and bus lines, the bigger transit operating deficits grow, and the more taxpayer money is required to sustain the system. So, have these projects increased transit ridership or relieved traffic congestion? By nearly every objective measure, the answer is no. From 2008 through 2018, despite large investments in transit projects, heavily subsidized bus and trolley fares and regional population growth of 10 percent, transit ridership is down. Meanwhile, over the same period, the number of highway commute times greater than 30 minutes increased. In short, taxpayers are paying more for a service that fewer people are choosing while their own commute times are increasing. The disproportionate funding of public transit is highway robbery. We can do better. It is time for elected representatives to deliver on their promise of relieving traffic congestion by rethinking our regional transportation network and prioritizing innovation over ideology. The future of transportation is not large, empty buses and trolleys traveling on fixed-routes and fixed-time tables. The future of transportation is on-demand autonomous vehicles traveling on roads and highways, providing riders with better, faster, and cheaper, point-to-point service. As more vehicles switch to alternative fuel sources, with less greenhouse gas emissions and greater mileage, the negative environmental externalities experienced today will be significantly reduced and, in time, eliminated. Improving technologies will provide new transportation options to disadvantaged communities that will be more efficient for riders and cheaper for taxpayers. Later this year, SANDAG will be voting on a new plan to build San Diego County’s transportation network over the next 30 years. While autonomous vehicles are still a decade or so away, commuters are stuck in traffic today. Fortunately, the fix for congestion relief now is also an investment in the future of transportation. The next regional transportation plan must prioritize highway investments to provide immediate congestion relief and simultaneously prepare our region for the future. Richard Bailey is the mayor of Coronado and a SANDAG board member. Richard Bailey is mayor of Coronado.